December 18, 2015 – The holidays are right around the corner and they are approaching fast. Luckily, Chef Audrey from the ALDI Test Kitchen is here to help you craft the perfect crostini bar for your family and friends. Who doesn’t love a piece of perfectly toasted bread or cracker topped with limitless creations? The flawless crostini has a few main components. A vessel; this could be bread, crackers, crisp s, thins or even pizzelles for a sweet twist. Next, you will need a spread. Think cheese or a jam of some sort. Check out our Specially Selected Spreads, they range from spicy, like our pineapple jalapeno spread, to sweet, like our fig fruit spread…And let me tell you, they are delectable! ALDI has an assortment of goat cheeses and brie for the ultimate smear. Last but definitely not least, add proteins if you so desire. Look for our Specially Selected Gourmet Deli Selection or our bite size salami. Let your creativity run wild! If you need a little inspiration to get your creative juices flowing, here a few recipes to do just that: Pea PestoCrostini, Fresco Cheese with Pumpkin Mojo and Blue Cheese and Walnut Mousse. Your crostini could be s imple or elaborate. You’re in charge of how much or how little work this can be. 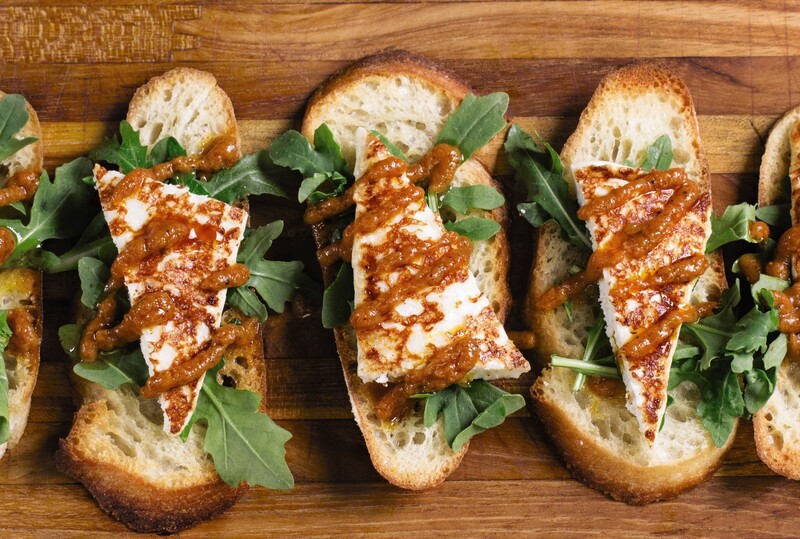 A crostini bar is great for a last minute get together and of course, a holiday party. You can feed a lot of people and it’s super cost effective. Saving money and feeding a crowd, ALDI hasyou covered! Crafting your crostini can even be done in advance, up to the day before event! Right before your guests arrive, plate your crostini, top them with your favorite creations and boom, you look like a holiday hero! 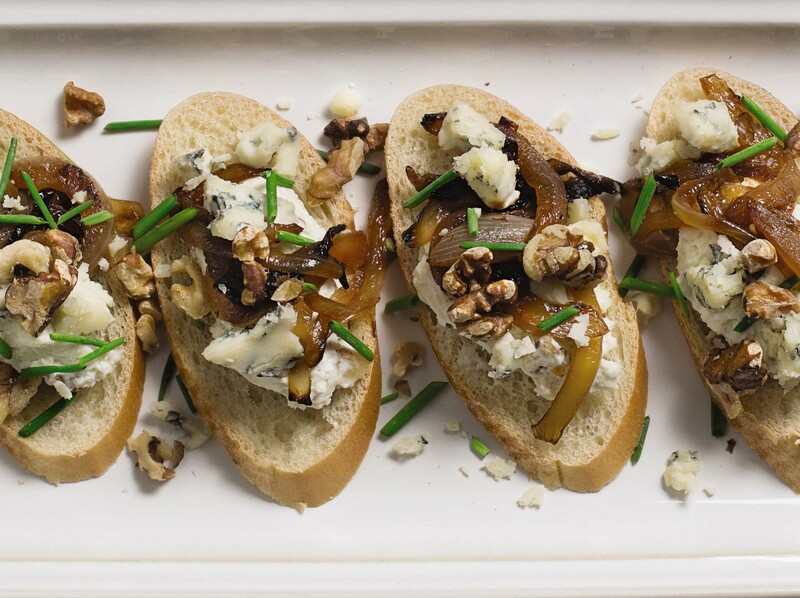 Pair your crostini with bowls of roasted artichokes, olives or pickles which are all great additions to your seamless crostini bar. 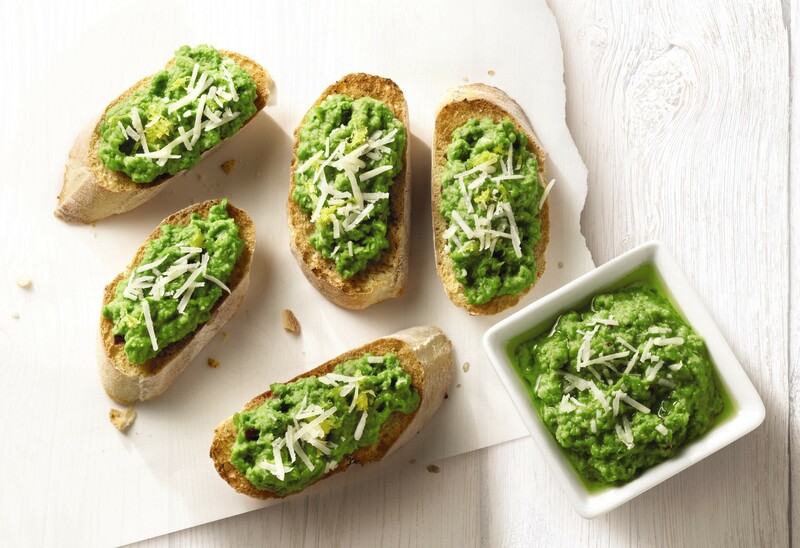 Do you love the idea of a crostini bar at your the next holiday party? Help your family and friends plan their next gathering by sharing this post with them. Just click on one of the share icons above! Chef Audrey attended culinary school at the Illinois Institute of Art when she realized her hobby was becoming a lifelong passion. 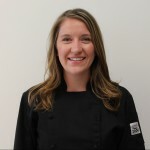 After culinary school, Audrey mastered her skills in restaurants around the Chicago land area, incorporating local and seasonal ingredients in breakfast and lunch menus. She has many years of experience working for a national organic retailer as well as cateringlarge events and private parties. You can find some of Audrey’s recipes featured on ALDI product packaging. Audrey enjoys trying new restaurants (especially food trucks! ), and spending time outdoors with her beloved boxer, Boots. I am new at Aldi’s on line listings and not sure how to find the things I want. I subscribe to the home copy brochure. I searched for the Sunnyside Breakfast Casserole recipe shown in the Dec. 23-29 brochure and could not find it on line. Many excellent recipes on line. Please let me know how to find the particular recipes I want. Hi Irene, you can find this recipe here: http://bit.ly/1SbsbYr. We hope you enjoy! I live in AZ. Originally from Illinois (about10 miles from Batavia! ), miss Aldi and hope for them to come to the Phoenix area. When I travel back to Illinois, I always buy a few items to bring home to AZ. My family also ships me a care package now and then. I too am new at Aldi’s on line listings and I am having difficulty in navigating to find the things I need. I saw in a brochure for January 2016 a recipe for Super Stuffed Sweet Potatoes. Hi Janice, thanks for asking! You can find this recipe here: http://bit.ly/1PFUtaV. Hope you enjoy!